Echipa AVmall incearca sa mentina acuratetea informatiilor din acesta prezentare. Cu toate acestea, in anumite cazuri, pot aparea mici inadvertente pentru a caror semnalare va suntem recunoscatori. Ne poti contacta oricand pentru a clarifica eventuale nelamuriri. Nu uita sa mentionezi in corespondenta ta numele exact al produsul. Fotografia produsului Casti Yamaha EPH-W32 are caracter informativ si poate sa difere de produsul real sau sa contina accesorii neincluse in pachetul standard al produsului. Specificatiile tehnice pot contine erori de operare si pot fi schimbate fara instiintare prealabila de catre producator, neconstituind obligativitate contractuala. Attractive design and glossy finish. Enjoy richer, warmer vocals thanks to the newly developed 8mm (3/8”) driver and sound-tuning pipe. Yamaha designed the housing of the EPH-32 series so that the driver and sound duct are linearly located, thereby ensuring that the sound from the driver is projected directly to the eardrum. Materials of varying degrees of hardness—ABS (acrylonitrile butadiene styrene) for the front section and polycarbonate ABS for the rear section—have been used to reduce unnecessary resonance which can muddy the sound. The diaphragm of the unit′s specially developed 8mm (3/8”) driver was designed with a high-precision tangential edge, and a sound tuning pipe is built in to control peaks in the high-frequency register. Despite their compact size, the EPH-32 series earphones capture all the richness of the low-mid frequency range, making vocals sound especially warm and rich. The ear buds are made of two types of silicon material—one hard and one soft. The sound passage section that uses hard silicon combines flexibility and strength through serration. It retains its shape even when inserted into the ears and fits perfectly to the shape of the ear canal. In addition to creating a comfortable fit, the ear bud also prevents deterioration of sound quality due to sound leakage. Due to their compact size, the EPH-32 series earphones can be worn in comfort. What′s more, Yamaha′s 2Way Ear Supporter allows the earphones to be worn in two different ways − either with the cord over the ear for a more securely fixed position (as shown in style 1), or in the regular way (style 2). The 2Way Ear Supporter is made of a flexible elastomer material, ensuring a snug fit in the ear canal, enabling you to listen to music comfortably and carefree. The surface of the cord is serrated to reduce friction. This not only reduces cord tangling, it also helps realize high-quality sound through the reduction of friction noise through the cord. The serrated cord also allows you take out your earphones and remote control neatly while listening or carrying for greater ease of use. The EPH-32 series is characterized by a simple design decorated only with Yamaha′s distinctive tuning fork logo on the outer flat side of the housings. Each model is finished with an elegant and refined gloss coat, making these earphones an accessory that you will want to use and treasure for years to come. Choose from three beautiful colors. The Bluetooth functionality of the EPH-W32 lets you enjoy your music wirelessly when connected to a Bluetooth-compatible smart phone or mobile phone. In addition, compatibility with the aptX® format allows you to enjoy even higher quality audio. Basic controls like music playback and stop as well as taking phone calls can all be done wirelessly. What′s more, multi-pairing with up to eight registered devices is possible and simultaneous multi-point connections with up to two devices, so you can conveniently use various connected devices either inside or outside the home. The Yamaha Philosophy expresses the philosophical framework of the Yamaha Group and consists of five elements: the Corporate Slogan, Corporate Philosophy, Customer Experience, Yamaha Way (mindset and manners), and Yamaha Quality (criteria for quality).Three of these, the Corporate slogan, Corporate Philosophy and Customer Experience, describe the Yamaha Group’s reasons for existence, and represent the fundamental principles that form the foundation of the Yamaha Group. In order for Yamaha to achieve this ideal, the Yamaha Way and Yamaha Quality must be adopted and practiced by all employees, and drawn from for daily inspiration and guidance. Corporate Slogan- The Corporate Slogan is a more concise statement of the Yamaha Philosophy. Corporate Philosophy- The Yamaha Philosophy defines the reason for Yamaha’s existence as a company and the goals that we seek to achieve through our work together. together with people around the world. Customer Experience- The Customer Experience exemplifies the meaning of “Sharing Passion & Performance” from the customer's viewpoint. When customers experience, use, or own Yamaha products and services they should experience a profound response that will stimulate both their emotions and senses. Yamaha Quality- The Yamaha Quality is a set of criteria that supports Yamaha's insistence on quality in products and services and our dedication to excellence in manufacturing. 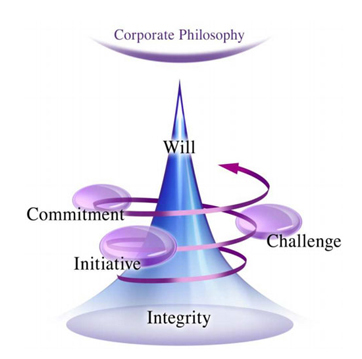 These criteria assist in making the Corporate Philosophy a reality. Yamaha Way- The Yamaha Way explains the mindset that all employees of the Yamaha Group should adopt, and the manner in which they should act on a daily basis, in order to put the corporate philosophy into practice. While endeavoring to provide customer satisfaction and contribute to society and culture, be passionate in your work. Take pride in your work but maintain an attitude of humility, working with integrity to provide craftsmanship and services of the highest quality. Be proactive in your work; observe, consider, discuss, and act to strengthen individual and team performance. Don't limit yourself—have the courage to take on new challenges. Demonstrate the creativity and fortitude required to ensure your commitments are met. Nu sunt recenzii pentru Casti Yamaha EPH-W32. Fii primul care scrie una!